To reduce the impact tyres have on the environment and to promote road safety, a new EU regulation came into force on 1 November 2012 that is designed to make it easier for motorists to compare different tyres. From this date all new tyres for cars, vans, 4×4 and most trucks have to display a standard format label that indicates three key aspects of a tyre; fuel efficiency, wet grip performance and external rolling noise. 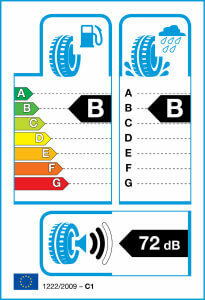 Similar in style to energy labels for white goods, these labels provide comparable information about a tyre regardless of the brand or tread pattern. 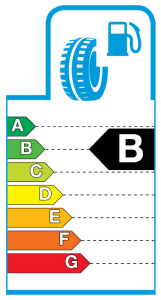 By using clear pictograms, the label allows motorists to make informed choices when buying tyres, ranked on a scale from A (best) to G (worst). Certain types of tyre, such as; T-type temporary use tyres, off-road tyres, racing tyres, vintage car tyres and retread tyres are excluded from this regulation.